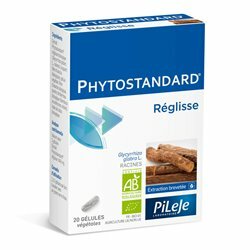 Again, Lactibiane H-Py Pileje is a food supplement of probiotics, licorice and cinnamon OPC to strengthen the functions of the mucous membranes of the stomach and intestine. Our digestive system does not play a role in the transit of ingested food: indeed it is the guarantor of the health of our natural defense system and is essential for the uptake of micro-nutrients essential to any organization. Certain factors can affect the proper functioning of our digestive system and cause problems transit but also weaken our immune system and good assimilation of nutrients system. Laboratories designed the PILEJE LACTIBIANE range which allows through probiotics used to maintain a perfect balance of the digestive system. 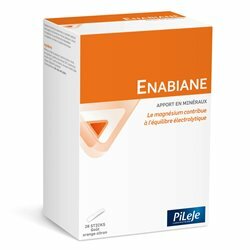 LACTIBIANE H-Py Pileje Micronutrition is a food supplement Lactibiane range based probiotics, licorice and cinnamon OPC, to strengthen the functioning of the mucous membranes of the digestive system (stomach and intestines). Lactibiane H-Py strengthens the mucous membranes of the stomach and intestine with licorice. Each capsule is dosed at 10 billion probiotics. This helps strengthen the intestinal flora and maintain balance. 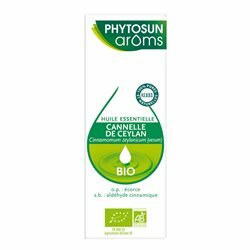 This formula contains two probiotic strains: Lactobacillus plantarum LA 301 and Lactobacillus salivarius LA 302. Food Supplement LACTIBIANE H-Py ensures the integrity of gastrointestinal mucosa promoting good assimilation of nutrients and an efficient immune system. Over a period of two weeks, eat during a meal, a white capsule and 2 brown capsules. You can repeat the treatment several times a year. Each provides 10 billion probiotics (Lactobacillus plantarum and Lactobacillus salivarius) per day: Probiotics are living microorganisms that will encourage the return of a guarantee of a good immune system and good transit balanced intestinal flora. They contain plant extracts, bark Cinnamon and Licorice root, which contribute to the health of the mucous membranes of the intestines and stomach.